The Body Follows is pleased to present the 2019 Best Snorkel Mask reviews offering his and hers models, best for budget-minded snorkelers, and the most popular snorkel mask. The Body Follows is pleased to present the 2019 Best Snorkel Mask reviews offering his and hers models, best for budget-minded snorkelers, and the most popular snorkel mask. In addition, the article promises specialty mask reviews – full face snorkel mask, prescription snorkel mask, and more, plus tips on how to choose the perfect mask for you and a treasure trove of snorkel mask FAQs. The Body Follows’ contributing author doesn’t simple direct readers to a single choice but explains how to find the perfect fit for comfort and underwater viewing as well as choosing the snorkel to complement the mask. In addition to this month’s featured review, guests to the site will find that The Body Follows the Mind offers not only the latest reviews on products like snorkel masks, but also the best in luxury resort reviews for its followers. Every month news and features on health and wellness topics from around the globe are featured. The Body Follows is a collaborative effort presented by health enthusiasts around the world, with trusted reviews and honest discussions regarding fitness, travel, and beauty. The 2019 Best Snorkel Mask Review features snorkel masks in a number of categories and includes the author’s pick as well – the ScubaMax Abaco Dive Mask. For each mask reviewed, specialty features like an oversized lens for better viewing, the type of seal to keep water out, and the ease and comfort of use are provided to help readers make the best choice for their own new snorkel mask. In addition, the reviews FAQs offer much needed information on how to keep water out while snorkeling, how to keep the mask clean and free from fog, and the best way to store a mask and snorkel. 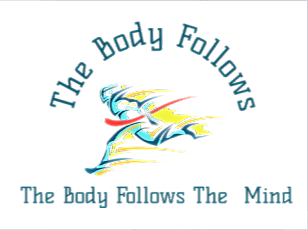 About The Body Follows: The Body Follows is a health and wellness site based on the premise “Where the mind goes the body follows.” Featuring the collaboration of medical professionals, hobbyists, athletes, coaches, and others who are passionate about health, wellness and fitness.